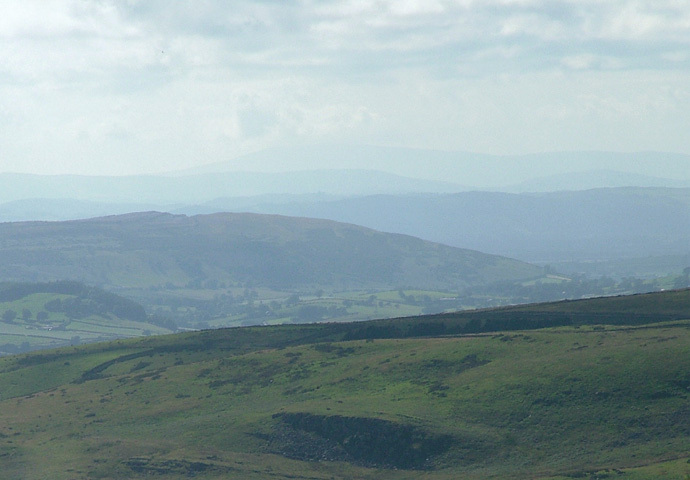 The Lune Valley passes between Casterton Fell in the foreground and Farleton Fell (aka Farleton Knott). The next hill, obscured by haze, is presumably Whitbarrow. The fells of the English Lake District form the horizon.